From your screenshot I cannot see if you're in Protocol Mode ? To embed in VDMX you composition has to be in protocol mode ! For more info, see the tutorial Using Vuo Image Generator compositions in VDMX. 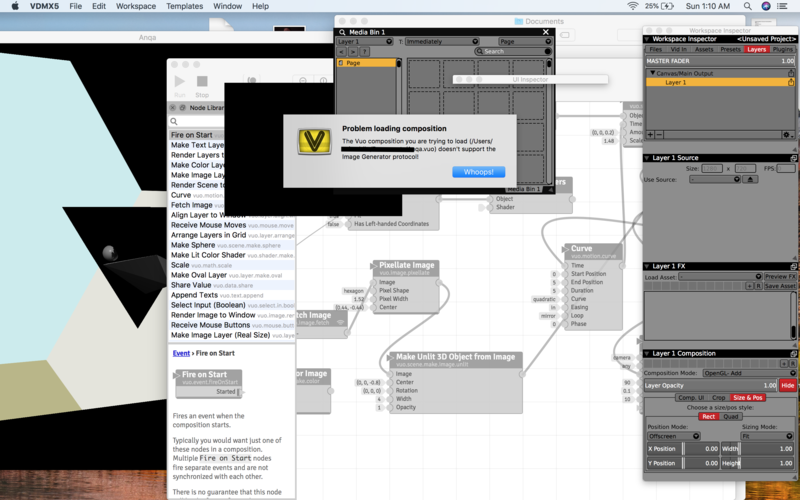 Some examples you can try in VDMX are under File > Open Example > Image Generator. Thank you all for your help! It works perfectly now. How do I use Vuo 1.2 with VDMX5 b8.5.0.7?